The interview provided by IGN and an EA representative is slightly awkward and not very revealing. The IGN interviewer doesn't seem to be that interested or knowledgeable (even in the most basic fashion) of the game, and instead critiques things like the game trailer for being more cinematic than anything. And while these subtle critiques come in, when questions are asked such as, "are there going to be more interactive terrain tools [for the world]? ", the EA rep dodges such questions with an answer of "it's a full-blown new version, a European inspired thing". 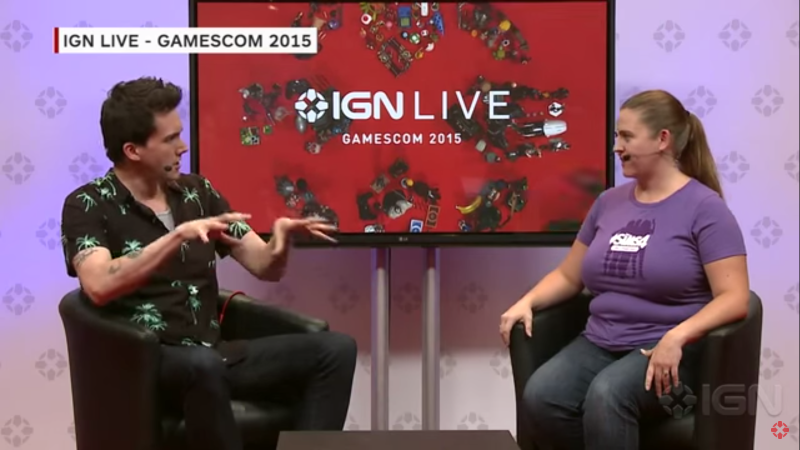 The IGN interviewer doesn't even seem to know she's dodged the question because he's probably never played The Sims 4. Why is it that the EA rep gives generic responses dodging most questions? Well now we know we likely aren't getting a more interactive terrain editor for the world or a world builder anytime soon (but we can probably dream, right?). Another question by the IGN interviewer which sparks confusion is when he asked, "Now excuse me if this is a new question, but are there any online component here?". To which the EA rep answered as if she was speaking for the basegame itself, very excited, "Actually there is. The Sims 4 has an all new gallery...". I don't know if she was trying to give knowledge to the IGN reviewer who seemed to be missing knowledge or if she just wasn't allowed to answer for the expansion pack (which hasn't seemed to reveal much anyway). The last kicker was when the IGN interviewer asked about a mobile Sims game, to which the EA representative responded, almost annoyed, "we're talking about Get Together right now". It seems like The Sims 4 Get Together, at this point, features clubs or factions (however you want to view them) based on traits or skills (as mentioned in the video, foodie clubs and fitness clubs are built-in). You can also presumably create your own "clubs" and customize their name and hangout location. Clubs can confront each other and fight or have dance-offs. There is also a few new items mentioned such as the walk-in closet as a new woohoo location and a DJ booth. The game also comes with a European styled world. No new traits or skills have been mentioned yet as well as no new social interactions, but I am assuming that an expansion pack named The Sims 4 Get Together, we should be seeing some new social interactions (especially group related).